As the Hilton Head Island's original sightseeing and excursion cruise operator, Vagabond Cruises and their staff have been providing unforgettable experiences on the water on the water since 1968. Cruises available include: dolphin cruises, sailing trips, day cruises to Savannah, dinner cruises and cruises for Valentines Day dinner and St. Patrick's Day (cruise to Savannah, GA). 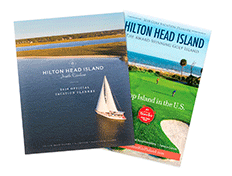 Planning a special event or want to reserve one of the Hilton Head Island cruises for a private event? Contact Vagabond Cruises to learn more about group rates for planning a day out on the water or to create a private, chartered outing.